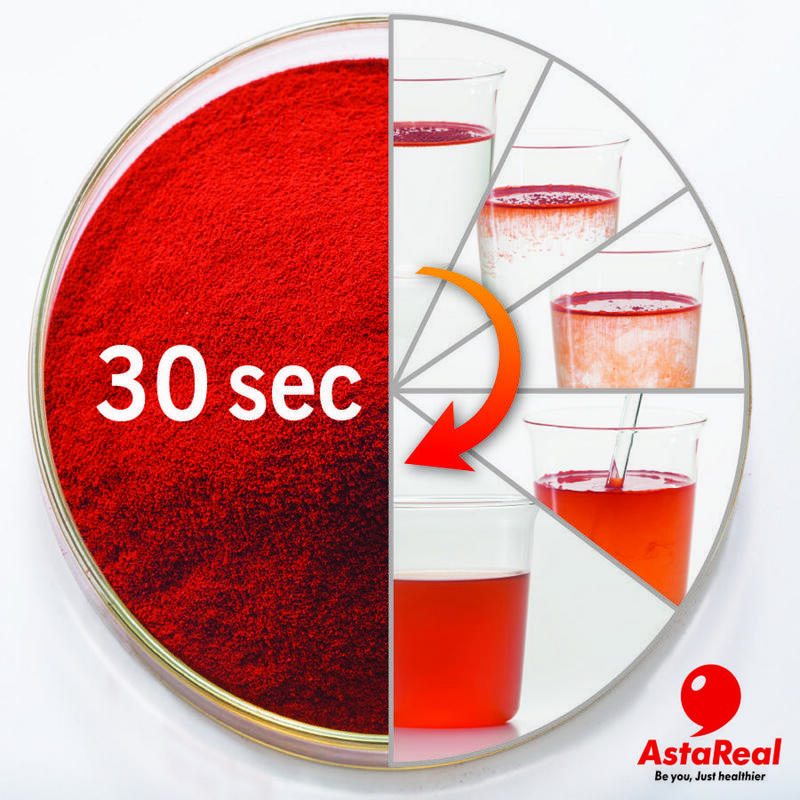 AstaReal® CWS25 is a spray dried, water soluble powder containing 2.5% natural astaxanthin plant extract. This functional powder is specifically designed for use in powdered drinks and functional foods. Its excellent powder properties and extremely mild flavor and odor offer unsurpassed compatibility, and it fully dissolves in just 30 seconds!